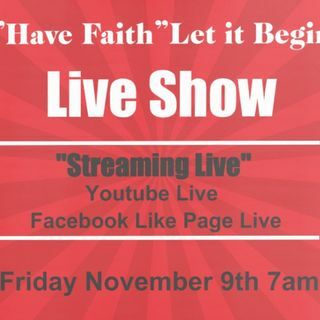 Reminder we are back on the air LIVE this Friday November 9, 2018 at 7am! Download, Subscribe, we are on all the following app platforms: Spreaker, ITunes, Podcast Player, IHeartRadio, tumblr, PlayerFM, SoundCloud, and Now we welcome Spotify! I plan to fill your daily commute with inspiring, motivational stories. Every Monday-Friday I will have a new ... See More episode.